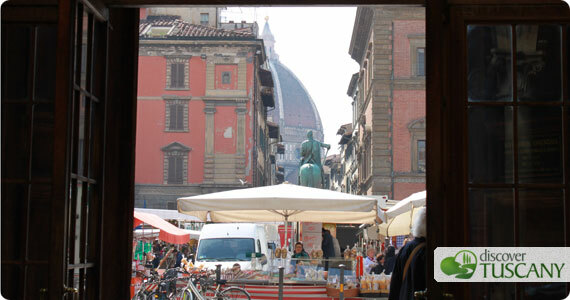 Every March 25, Florence celebrates the Florentine New Year. On this day, the Catholic Church celebrates the Annunciation of the Blessed Virgin Mary and, in honor of the Virgin, from the Middle Ages up until 1750 this date decreed the beginning of the civil year in Florence. To celebrate Florence’s New Year, several events takes place in the city historical center. As in the past, the celebrations center around the majestic Basilica of the Santissima Annunziata, facing the square of the same name. Inside the church, a famous fresco of the mid-1200s representing the Annunciation is venerated. According to tradition, every year on the occasion of the Florentine New Year the inhabitants of Florence and surroundings come to visit and venerate it. Tomorrow starting from 3:45pm the parade in historical costume of the Florentine Republic will go through the streets of the historic center of Florence, from the Piazzetta di Parte Guelfa to reach the Basilica of SS. Annunziata, accompanying municipal authorities. At 4:30pm, the authorities will pay tribute to the ancient fresco of the Annunciation, preserved in the Chapel of the Holy Effigy. Throughout the day, a small fair with candy stalls and stands selling small craft items will take place in Piazza SS. Annunziata. The Association Centro Guide Turismo organizes guided tours in the morning and early afternoon, reservation required, to the Church of Santa Maria Novella, the Officina Profumo Farmaceutica di Santa Maria Novella and of the Duomo. The visits will be held in Italian. For information and reservations, call 055.2616056.